Phenology, the study of stages within the life cycles of plants and animals, has served as a proxy for weather and climate throughout human history, but has only recently become its own field of environmental science. Phenological constraints are particularly demanding in avian species because of the necessity of matching chick provisioning with high food abundance, while allocating time for migration. Within avian species, seabird phenology is of particular interest because many seabird species exhibit colonial breeding behaviour. Penguins, representing roughly 90 % of the biomass in the Southern Ocean, are well studied in the context of population dynamics, prey abundance, and phenology. 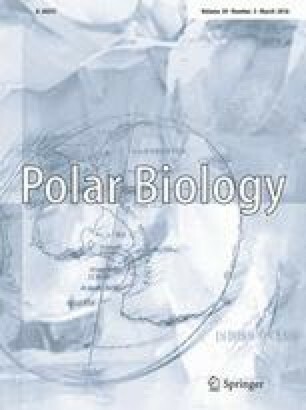 Here I review the annual cycles of Pygoscelis penguins, a genus including gentoo (Pygoscelis papua), chinstrap (Pygoscelis antarctica), and Adélie (Pygoscelis adeliae) penguins, to better understand what is known about their phenology, what causes known changes, and how their phenology influences fitness. Major differences exist between species, particularly in relation to winter migration, incubation shifts, and the timing of breeding. Even with the numerous studies examining phenology in Pygoscelis penguins, large gaps in our understanding of plasticity in the annual cycle remain. In particular, certain phases are neglected because they are logistically difficult to record or have erroneously been ignored. In addition, temporally, large gaps exist in our understanding of phenology, where studies have not been updated in over 20 years at a particular field site. Because phenology does vary greatly between years, depending on the colony, when possible, researchers should strive to update phenological records by recording the dates of phases each year. I gratefully acknowledge Drs Tom Hart, Chris Perrins, and Dora Biro for comments on an earlier version of this manuscript and Quark Expeditions and Penguin Lifelines funders for their financial support. Return to colony: The date in which the first adult is seen returning to the rookery. The phase is sometimes expressed as a range of dates beginning when the first individual returns and ending when the majority of birds are present at the colony. Courtship: The time period when copulations are noted at the breeding site. Egg laying: The start of the egg laying period is often referred to as the clutch initiation date (CID) and the majority of studies have measured this date, or the mean of these dates, when examining phenology. These phases end when the second clutch is laid or, in the case of northern sub-Antarctic gentoo populations, when the two-egg clutch is relaid. The phase is sometimes expressed as a range of dates. Incubation: The time period in which the eggs are incubated, beginning when the second egg is laid, and partners alternate incubation shifts. The phase ends when the first egg hatches. Hatching: The hatching period begins when the first egg hatches and ends when the second egg hatches. Studies often only measure the beginning of this phase; in other words, the date in which the first egg hatches. Guard: The period in which chicks are guarded by their parents and stay within the nest boundaries. The phase begins when the second egg hatches and ends when the first chick is unguarded by parents, leaving the nest. Post-guard: This phase commences when the first chick leaves the nest area and is considered unguarded by a parent and ends when chicks depart the colony. Chick moult: The time period in which chicks moult their down feathers, beginning with the first visible moulting individual and ending with the last. Adult moult: The time period in which adults moult their feathers, beginning with the first visible moulting individual and ending with the last. Chick Departure: The date or series of dates when chicks depart the colony, beginning with the first individual departing to sea and ending with the last. Adult Departure: The date or series of dates when adults depart the colony, beginning with the first individual departing to sea and ending with the last.